Nov 10 Comments Off on Archies Thongs have arrived, just in time for summer! Archies Thongs have arrived, just in time for summer! 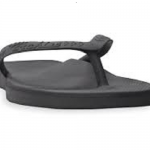 Finally a fashionable and affordable orthopaedic support thong, and for only $35.00 why wouldn’t you get your feet into some comfort this summer? Flat thongs offer the feet very little support, which can lead to unwanted stress and strain for both the foot and lower limb/leg. Archies Arch Support Thongs aim to reduce the potentially damaging stresses and strains by offering a level of support similar to that provided by orthotics to promote improved skeletal alignment. Poor alignment has been found to be a contributing factor in a range of musculoskeletal injuries, including different forms of back, hip, knee, shin and foot pain. 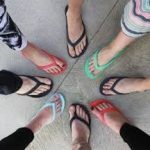 Archies Thongs are the perfect choice of thongs for anyone seeking a level of support not provided by normal flat thongs, as well as those who experience common foot and lower limb/leg issues such as increased pronation (where the foot rolls inwards). Increased pronation alters the way stress and strain are absorbed through the body, which can potentially lead to injury. Injuries arising from increased pronation are more common in people with flat arches, although it can occur in all foot types. Archies Thongs are ideal for everyone and are a great choice for those seeking an extremely comfortable feel while enjoying the added benefit of increased support. They are also ideal for those who have high arches, as this foot type has a tendency to incur increased stress on the outside of the foot and leg and can provide even distribution of pressure and load across the foot. 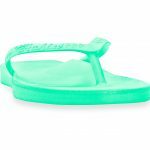 Ultra-Light – The highly specialised foam material found in Archies Thongs is ultralight in comparison to other orthopaedic thongs which may result in less tired and achy feet at the end of the day, making them the perfect thong when travelling! Tighter Strap – In thongs with a loose strap, your toes claw down and you do not get the protective support from the arch like you are supposed to. 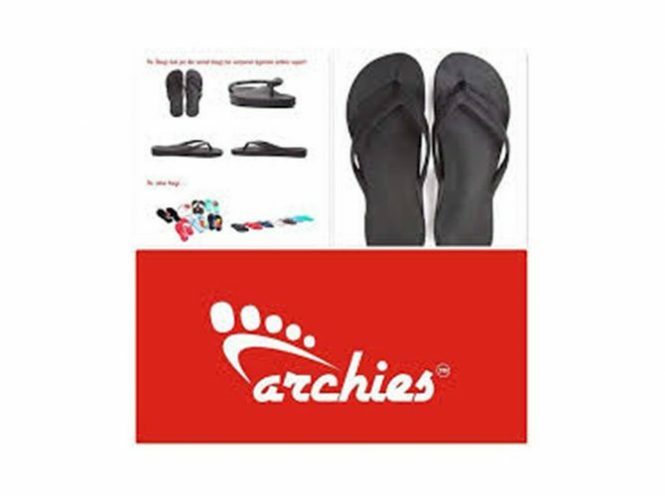 The tighter strap in Archies Thongs may help to reduce toe clawing allowing you to walk more naturally. Once you try Archies Arch Support Thongs you will never want to take them off your feet…come into the clinic and try a pair for yourself!